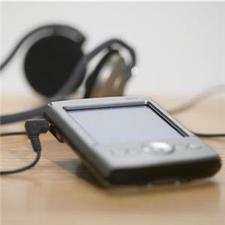 Contact lens wearers who enjoy music have been urged to use their lens cases to keep their earphones untangled. An article on instructables.com explained how to turn a contact lens case into such a storage device. The caps should be removed and small notches cut into the edges of the circular storage sections. Readers were recommended to use a flame to heat an exacto knife for this process. After this, the buds of the earphones can be placed into the case, with the wires exiting through the notches, and the caps replaced. The wire is then wrapped around the body of the case, loosely so as not to break it through pressure. Several website readers left enthusiastic comments. Recently, US baseball player Francisco Rodriguez told the New York Times about how "comfortable" he has found contact lenses to be since he began wearing them. He had tried wearing goggles but they fogged up and also irritated his skin.